The main goal of works described in the paper is to test and select algorithms to be implemented in the ‘SM4Public’ security system for public spaces. 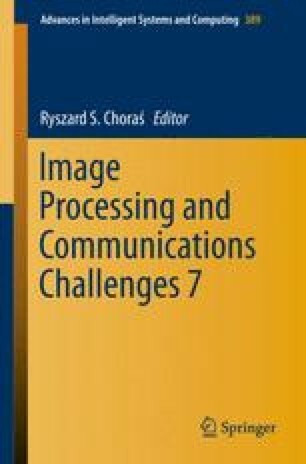 The paper describes the use of cascading approaches in the scenario concerning the detection of vehicles in static images. Three feature extractors were used along with benchmark datasets in order to prepare eight various cascades of classifiers. The algorithms selected for feature extraction are Histogram of Oriented Gradients, Local Binary Patterns and Haar-like features. AdaBoost was used as a classifier. The paper briefly introduces the ‘SM4Public’ system characteristics, characterizes the employed algorithms and presents sample experimental results. The project “Security system for public spaces—‘SM4Public’ prototype construction and implementation” (original title: Budowa i wdrożenie prototypu systemu bezpieczeństwa przestrzeni publicznej ‘SM4Public’) is a project co-founded by European Union (EU) (project number PL: POIG.01.04.00-32-244/13, value: 12.936.684,77 PLN, EU contribution: 6.528.823,81 PLN, realization period: 01.06.2014–31.10.2015). European Funds-for the development of innovative economy (Fundusze Europejskie-dla rozwoju innowacyjnej gospodarki).